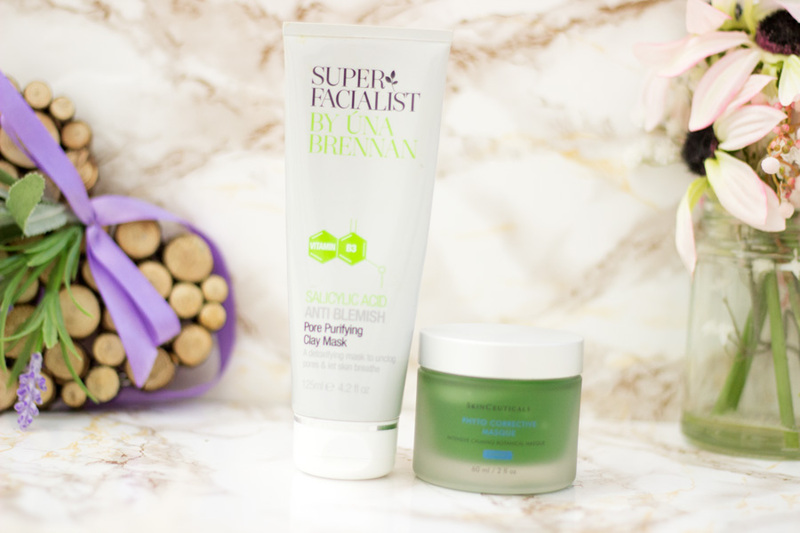 I am a huge fan of skincare products and they do form a good bulk of all my reviews here on the blog. I recently wrote about my Favourite Skincare Launches from 2016 and many of them are featured on this post. 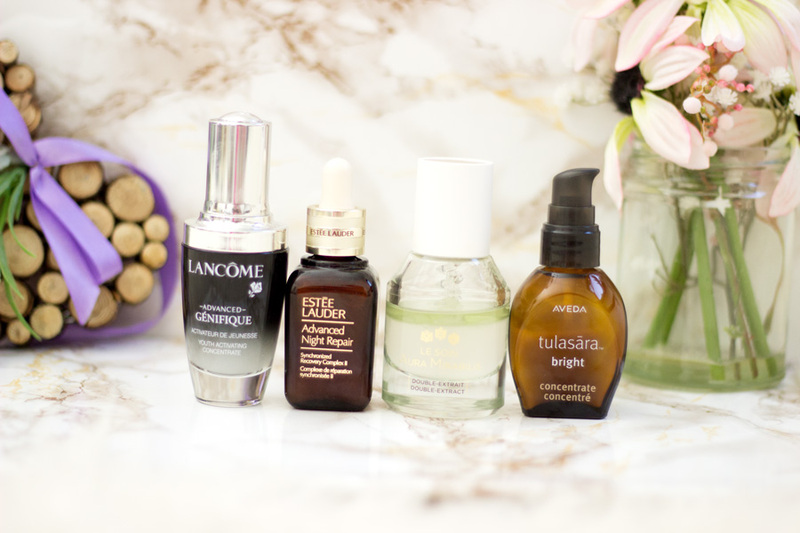 You can also check out my 2015 Skincare Favourites over here. I know this is late considering that we are already in February but I still wanted to share my favourite skincare products from 2016. I have a post planned for my Makeup Favourites and of course, Hair & Body Care and Fragrances, etc. I have read many yearly favourites and I am amazed at how many bloggers are able to choose one favourite from each category. Sadly, I am not that disciplined as I love at least two or three products and let’s face it; we are looking at a whole year. Most categories have at least two products and believe me, it was a herculean task trying to whittle them down because I tried so many amazing products last year. Sometimes, I find that there's the temptation to choose products that were used more towards the end of the year compared to all through the year. 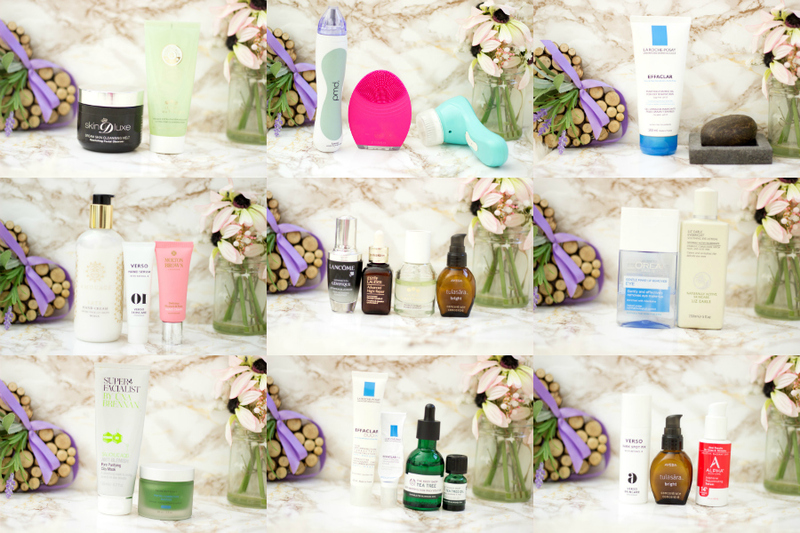 This is why I went through my entire collection, blog posts, bathroom and skincare drawers to pick out products that actually stood out for me through the year. Grab a cuppa or your favourite drink and relax while I present you with my 2016 skincare favourites (dramatic much? Nah!!never)….. 2016 was definitely the year of discovering and diligently using amazing beauty tools. I honestly cannot remember any time in 2016 when I cleansed my skin with just my hands. I just feel my skin is much cleaner when I use a beauty tool and I have been so lucky to try out quite a few. 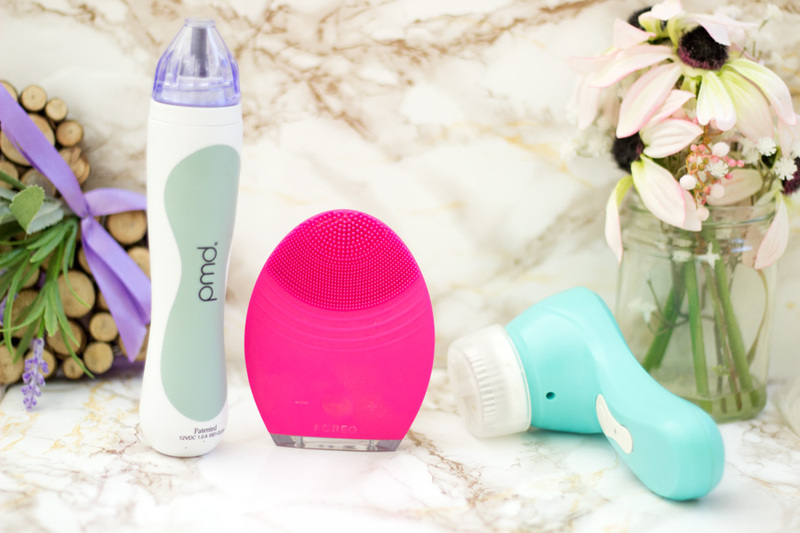 My three favourites from 2016 were the FOREO Luna Exclusive for All Skin Types, Magnitone Barefaced Cleansing Brush and the PMD Personal Microderm. I cannot even describe how much these three products have changed my skin. I have a long standing love for my FOREO devices and I have the Luna Mini 2, the Luna Exclusive and the Luna Play. I found myself loving and using my FOREO Luna Exclusive*//£129 more than the other Lunas I own although I do rotate them all. I love it for massaging my skin and it feels so lovely like I've had a facial. The second beauty tool I adored in 2016 was the Magnitone Bare Faced Cleansing Brush*//£70 and I still enjoy using it. It is ideal for deep cleansing and I feel it also helps in exfoliating my skin. I usually opt for it in the evenings especially if I have worn heavy makeup during the day. The last beauty tool which I was so obsessed with (and still love) is the PMD Microderm*//£150. I was so lucky to have been given a chance to try it out and I have seen improvements in my skin's texture and hyper pigmentation. I was so scared to use it but now I can't wait for Sundays which is the day I use it. Basically, my beauty tool routine is: FOREO Luna in the morning for an amazing revitalising cleanse and massage, Magnitone Bare Faced Cleansing Brush for a deep pore cleanse in the evening and the PMD Personal Microderm every Sunday evening to exfoliate my skin and help clear my hyper pigmentation. In 2016, I did try quite a few makeup removers like wipes and micellar waters which I use to remove my makeup before going in for my second cleanse. I wrote a whole post on some of my Favourite Micellar waters over here so you can check that out. 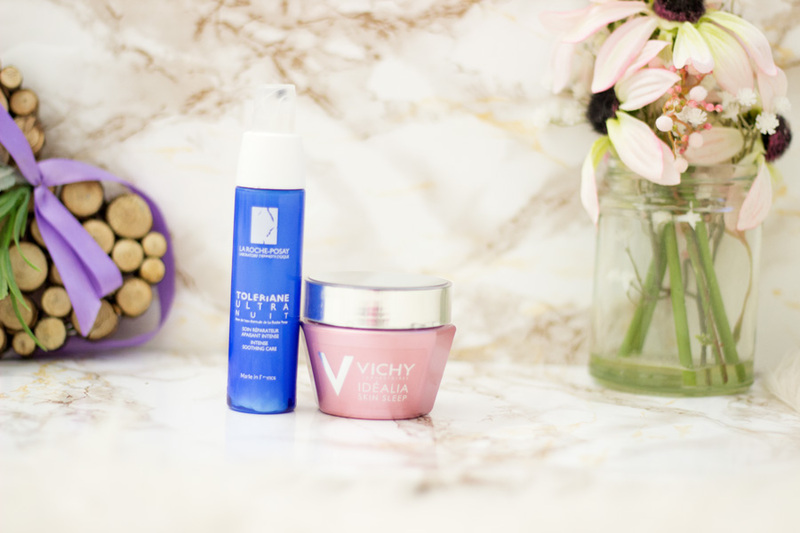 However, the two products that stood out for me when it comes to removing every scrap of makeup with the littlest effort were the Fake Bake Beauty Dream Skin Cleansing Melt and the Roger & Gallet Aura Mirabilis Cleansing Mask. They both remove every scrap of makeup including eye makeup. I don’t generally use balm/oil cleansers for my eyes but when I do, they do the job so well. However, I still prefer to use a separate eye makeup remover for them which I will touch on later. The Fake Bake Beauty Dream Skin Cleansing Melt*//£15.00 was featured in my 2015 favourites and it still remains my favourite for 2016. It is a balm texture which melts to an oil texture once it hits the face and I love using it. I remove it with a warm/hot cloth and all my makeup is gone. The Aura Mirabilis Cleansing Mask*//£15 can be used both as a mask and a cleanser/makeup remover. I recently started using it to remove my makeup more than a mask and it’s a dream to use. It has a gel texture that also melts to an oil texture and takes off all my makeup. I also remove it with a hot cloth and there's no scrap of makeup in sight. These two makeup removers have really impressed me. I believe these cleansers may have been featured in my 2015 Monthly and Yearly Favourites and it's no surprise they are back again for 2016. It is simply because they are incredible and they were the main cleansers I used through the year. I am so in love with them because they give my skin a good cleanse and I know I can rely on them. 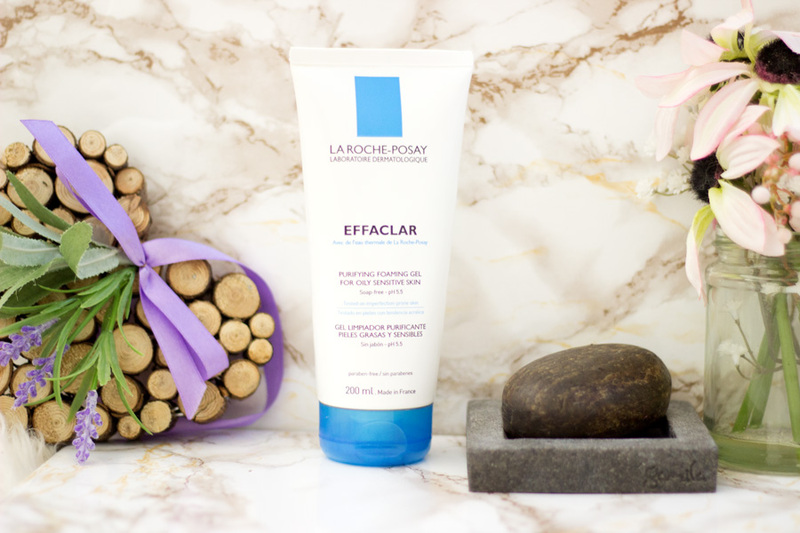 I love to use the La Roche Posay Effaclar Purifying Foaming Gel*//£11 in the morning because it feels really gentle on my skin and does not strip my skin at all. The second cleanser is my Holy Grail and it is the African Black Soap (Dudu Osun). I have stacks and stacks of this soap in my room and I know they will last me all through 2017 and maybe 2018. That's how much backup I have because my Mum always sends them to me. The Dudu Osun gives my skin such a good cleanse and helps prevent breakouts. It does strip my skin out a little but to be honest, I don't mind much because I use it more at night and I always load my skin back up with moisture and oils. I just love both of them and I won't be surprised if they feature again at the end of 2017. I also have to mention the FOREO Day and Night Cleansers which I absolutely adore. I did use them a lot at the beginning of 2016 and they still are firm favourites. I always take the mini size with me when I am travelling along with my FOREO Mini and they are just the best travelling partners ever!! I have chosen two eye makeup removers that have done their job so well without irritating my eyes or contact lenses. The first is the L’Oreal Gentle Eye Makeup Remover*//£3.99 which featured in my 2015 Favourites and with god reason. It is affordable, does the job well and backs up all its claims. I have gone through several bottles and I also have a good number of backups. It removes my waterproof eye makeup gently and I never have to rub my eyes or have the infamous panda eyes. The second one is an underrated eye makeup remover but one I loved so much in 2016. It’s none other than the Liz Earle Eye Bright Lotion//£13.25 which is incredible. I am surprised that they claim on the bottle that it removes only light eye makeup because this baby has been effective at removing my heavy eye makeup. In addition to its eye makeup removing properties, it really soothes my eyes and it feels so cooling and refreshing. I absolutely love it and it is so much better, in my opinion, than even using a cucumber slice. It’s a gem!! 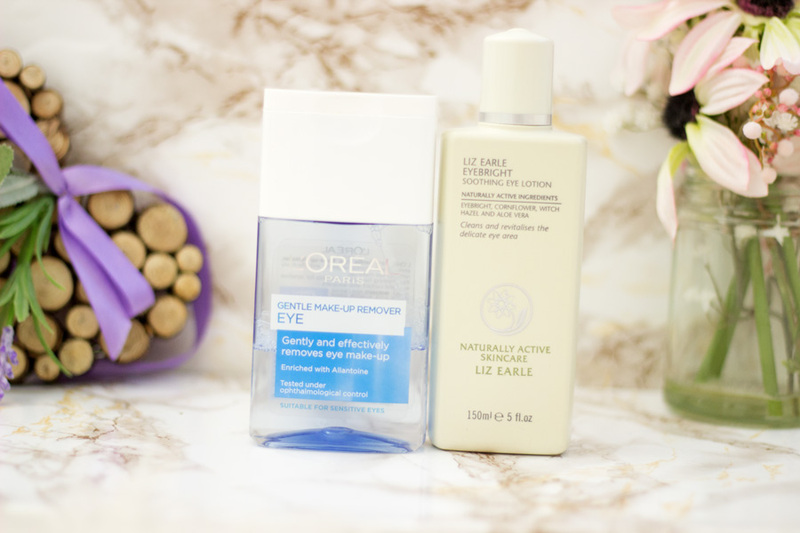 I also have loved the Clarins Eye Makeup Remover which works so well but I didn’t use it as much as these two which is why I haven't included it in my 2016 favourites. I am a huge fan of using chemical exfoliators which contain either AHAs or BHAs. I have used them for a few years now and they have helped with my hyper-pigmentations. There were three toners that stood out for me in 2016 and I am sure you'd have seen them mentioned either on Instagram, Monthly Favourites or standalone reviews. The first on the list is the Alpha- H Liquid Gold//£33.50 which is one of my favourite chemical exfoliators. It still stings a little despite using it for months but the results are worth it. My hyper-pigmentation and blemishes are getting better. I don't use it daily; let's say about 2-3 times a week and usually at night. Sometimes, I use it solely without using any other skincare products so it works fully. Other times, I use it alongside other skincare products and the results are impressive. 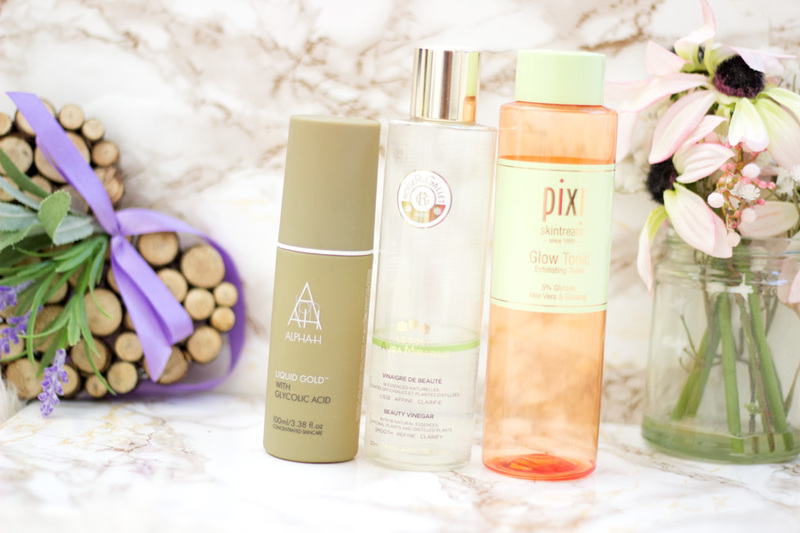 My second favourite toner is the Pixi Glow Tonic//£18 which is more of my everyday toner. It also contains Glycolic Acid like the Liquid Gold and they surprisingly have the same percentage (5%). However, it is much easier t tolerate than the Liquid Gold and I think it will be best to start with if you have sensitive skin.. I do find that it works better at preventing acne or breakouts and whenever I use it consistently, I never break out. Last but not the least was a new discovery mid year - The Roger & Gallet Aura Mirabilis Beauty Vinegar*//£15. I don't think I can put into words how much I adore this product. It is ideal for everyday use both morning and nights and I use it as frequently as my Pixi Glow Tonic. It leaves my skin radiant, re-balances it and prevents any skin problems. I am definitely repurchasing this when it runs out. I love a good serum because they pack a punch when it comes to active ingredients. I use serums both at night and during day and I have only missed using them a few times through the year. When it comes to serums, I look out for one which is hydrating, moisturising and if possible, effective at clearing my hyper pigmentation. I know it is very difficult to find one that delivers all three benefits but there are a few that have swept me off my feet. The first is the Lancome Advaced Genifique Youth Activating Concentrate//£59. I have featured it on a few Gift Guides but it definitely needs its own separate review. It provides both hydrating and moisturising benefits to my skin and I absolutely adore it. I tend to use it more in the morning because the hydration takes me through the day. 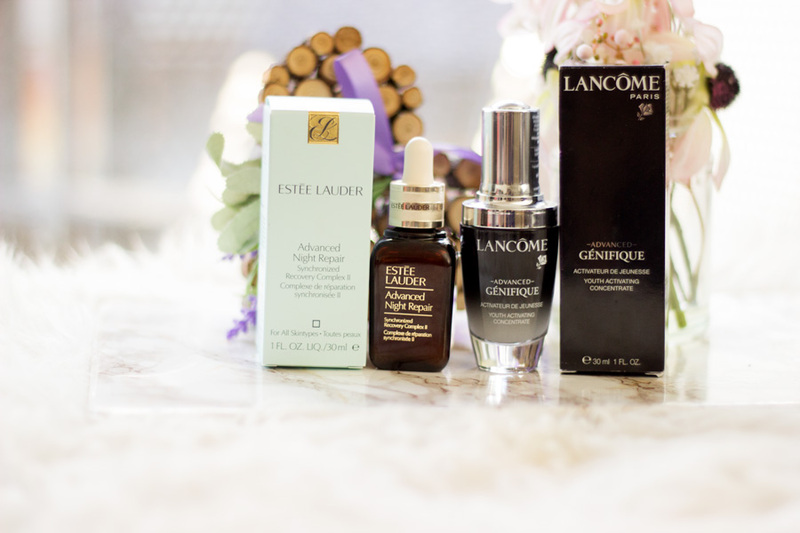 My second favourite is the newest addition to my serum stash and it's none other than the Estee Lauder Advanced Night Repair*//£52. I know it says night repair but I use it during the day and at night. It equally provides hydrating and moisturising effects but I think the Lancome Advanced Genifique is slightly more hydrating. Nevertheless, I feel the Estee Lauder ANR makes my skin feel supple especially when I use it the night before. I can't really comment on any anti-ageing effects because I feel you can only tell many years later if it worked or not. The third serum is the Roger & Gallet Aura Mirabilis Double Extract*//£40 which was one of my most used serums in 2016. It is a bi-phase formula which mimics the natural composition of the skin and I feel that's why my skin loves it. It feels a little bit like a serum-oil hybrid which makes it ideal for the winter season or if you have dry/dehydrated skin. The fourth serum is the Aveda Tulasara Bright Concentrate*//£45 which is a serum-moisturiser hybrid. I really enjoyed using this serum. I saw improvements in my hyper pigmentation and I still use it alongside my other serums. I feel there's a place for all the serums in my stash and I have enjoyed using all of them. I think finding the right eye cream is quite a difficult task and it also depends on what you are targeting. I don't really have dark under eye circles but I do have very faint fine lines which I think are from smiling/laughing too much but I don't mind. However, these fine lines under my eyes sometimes make my concealer crease and I end up looking tired. This made me continue the search for a really good eye cream. The first one I fell in love with is actually not an eye cream although it says on the bottle that it can be used as one. 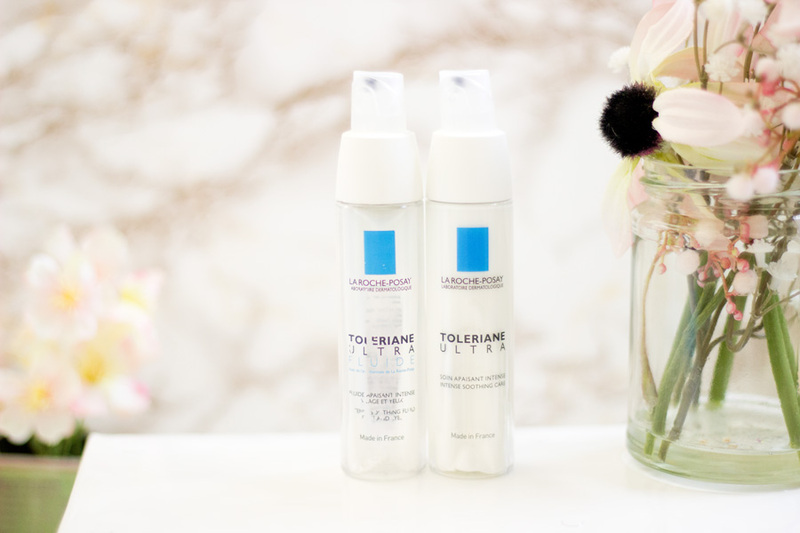 It is the La Roche Posay Toleriane Ultra Fluide*//£17.50 which I used for under my eyes for the good part of 2016. It has a very lightweight texture which makes it perfect for under my eyes. I apply it with my ring finger and it provides the right amount of hydration. 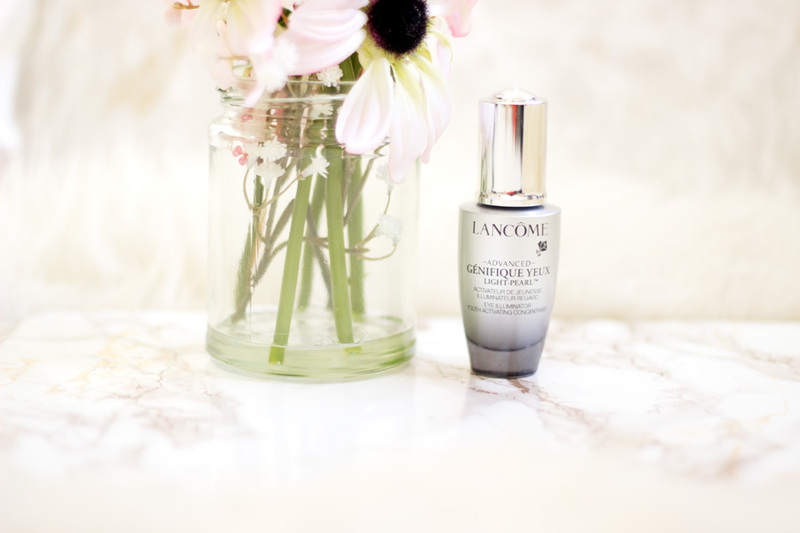 My other favourite Eye Cream is one of the best eye creams I have tried- Lancome Advanced Genifique Yeux Light Pearl //£46. I tried several samples of it and I knew that I had to purchase the full size so I saved up all my Debenhams Loyalty points for it. It was worth the purchase and I see myself repurchasing it and maybe the Estee Lauder ANR eye cream. The Light Pearl is lightweight, provides amazing hydration and has helped with the appearance of my fine lines. I rarely experience creasing under my eyes although my fine lines are still visible especially when I am smiling. However, my under eye concealing technique has not changed so I know these eye creams have helped with any improvement. I am very particular when it comes to day creams because my skin needs good hydration and moisture without sitting heavy on my skin.. I always look out for moisturisers that don't interfere with my foundations because that's a big No-No. 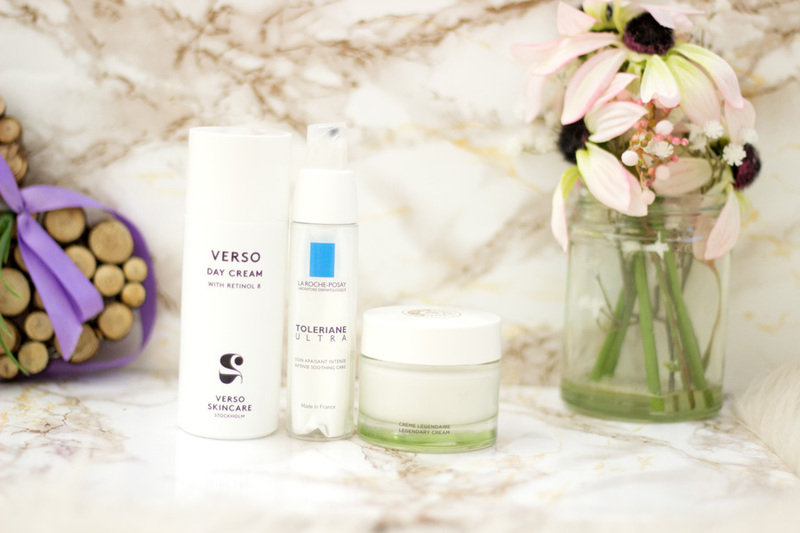 In 2016, I tried quite a few day creams but the ones that stood out for me were the Verso Day Cream*//£90, La Roche Posay Toleriane Ultra*//£17.50 and Aura Mirabilis Legendary Cream*//£32. 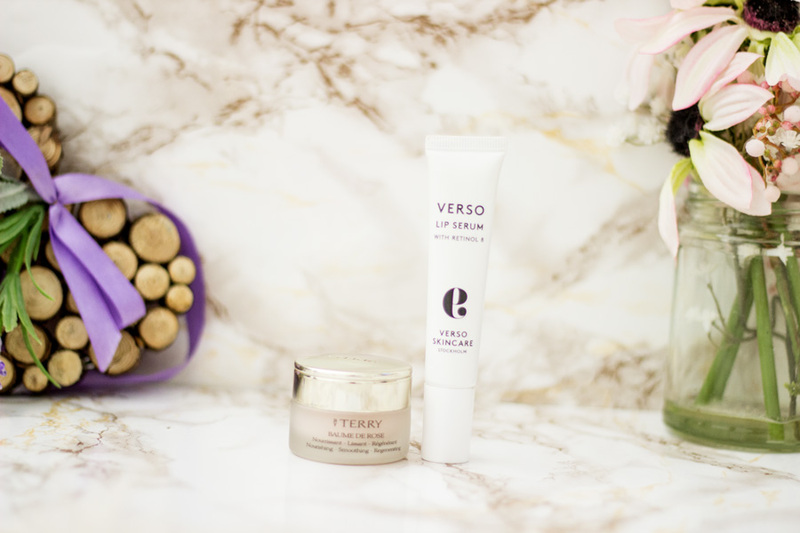 The Verso Day Cream is one of my favourites because it gives me a radiant glow without looking greasy. I also know that it is working on my hyper-pigmentation which is why I always wear a sunscreen with it. 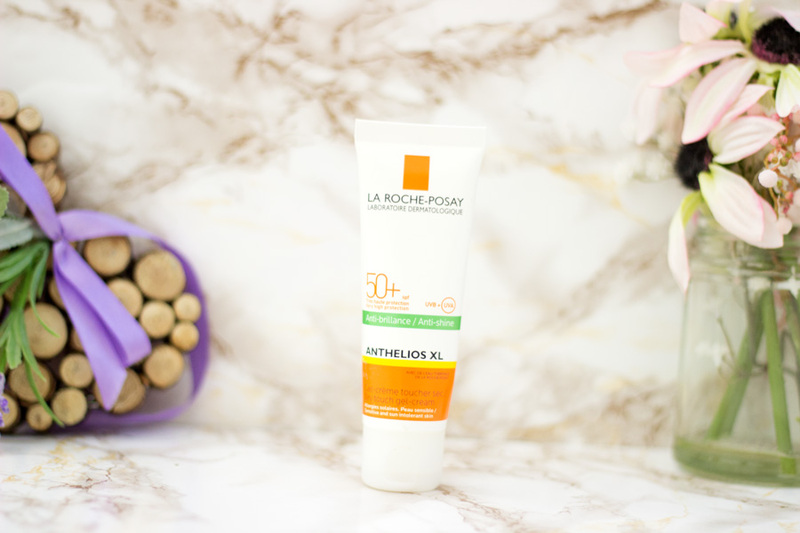 Another day cream I enjoyed was the La Roche Posay Toleriane Ultra which I used both for my face and my eyes. I love the texture and the amount of hydration I get with it. It does not interfere with my makeup at all and I absolutely love it. Last but in no way the least is the Aura Mirabilis Legendary Cream from Roger & Gallet. It is quite richer than my usual day cream picks but it does sink in and does not mess around with my foundation. if anything, it helps my face look radiant and hydrated. I am a huge fan of the entire Aura Mirabilis range. When it comes to night creams, the richer the texture, the better for me. I don't mind layering my skin with oils and moisture at night because I know my skin will thank me in the morning. I actually did use some of my day creams at night but I just chose these two because they are specifically night creams. The first is the La Roche Posay Toleriane Nuit*//£17.50 which is slightly richer than the regular Toleriane Ultra. It provides a good amount of moisture and hydration and I know I am leaving my skin in good hands. The second night cream which I have just fallen back in love with is the Vichy Idealia Skin Sleep*//£26.50. I can't get over its silky texture (whipped yoghurt always comes to mind whenever I use it). My skin always looks perky in the morning whenever I use it the night before. It contains caffeine as well as other ingredients which work on the skin to improve its texture. It's one of my favourites and I always look forward to using it at night. I know I must be sounding like a broken record but I am absolutely obsessed with my Anthelios XL Sunscreen SPF 50//£16.50. I have been gifted this sunscreen in the past and repurchased it more than a few times. Not just stopping there, I have recommended it to family and friends and even purchased for them to try it out. That's how much I love this sunscreen. In the past, I always avoided sunscreens for a number of reasons including the fact that most of them left a white/blue cast on my face. The Anthelios does not leave any cast and it ticks all the boxes for me. This is simply why I still use it even after 3 years. I use the Dry Touch Gel version which also has a mattifying effect on my skin and almost doubles as a primer for me. Win-Win!! Yes, I still have some breakouts every now and then which can be very frustrating considering the fact that my teenage years are truly and well behind me. Why on earth should I still be breaking out? I do have to admit that my breakouts are closely related to hormones (when Mother Nature pops around) and lifestyle (mainly when I eat dairy). 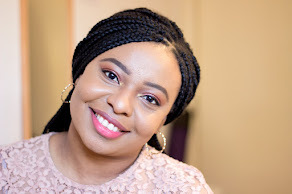 I wrote a post on lifestyle changes I made which helped my skin and I still maintain them. However, a few breakouts happened in 2016 and I was not scared because I had my blemish busting crew ready. 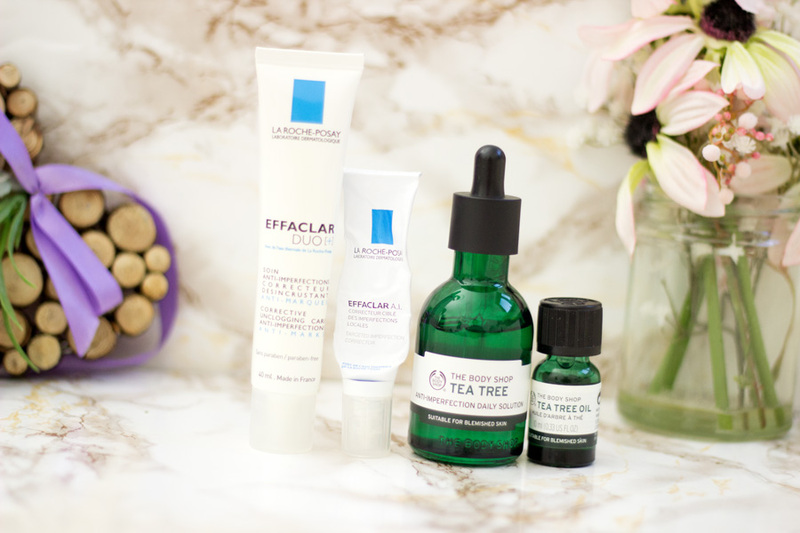 I have featured my La Roche Posay Effaclar Duo//£15.50 and A.I.Targeted Breakout Corrector//£11.00 so many times here on the blog and I still love them. I always have backups because my skin can go crazy with the littlest notice. I adore them and together, they have never failed me. I also fell in love with the revamped Body Shop Tea Tree range which I was lucky to try out in 2016. It's no secret that Tea Tree is well known for its blemish busting properties and the Body Shop range does just that. I particularly loved the Anti-Imperfection Daily Solution//£12 which worked well as a serum before my moisturiser. The Tea Tree Oil* in itself is really good quality as expected from Body Shop and worked wonders on my spots. I still enjoy using them because I know I can count on them. I am planning a post on products that have helped me with my hyper pigmentation but before then, I want to share a few that stood out for me in 2016. The first product is the Aveda Tulasara Concentrate (Bright)*//£45 which I tried out for a good while last year. It is a serum-moisturiser hybrid and it works so well in preventing dark spots and clearing the ones I already have. I won't say it works as fast as other hyper pigmentation products I have tried but its results are impressive. It's an amazing product and requires consistent use to see results. The second product is the Verso Dark Spot Fix*//£125. It is a hero product and it works so well on fading away on dark spots particularly newer ones. It contains Retinol 8 which is eight times more effective than regular Retinol and far less irritating. It is very, very expensive but it does work and that's why I love it. Last but in no way the least is my absolute favourite when it comes to hyper pigmentation. It is none other than the Alpha-Hydroxy Glycolic Range. This is actually my second set of products I have tried and they work the fastest when it comes to hyper pigmentation. The products do contain at least 10% Glycolic Acid which is considerably higher than most products you can usually get. For reference, Pixi Glow Tonic and Alpha-H Liquid Gold both contain 5% Glycolic Acid. I don't think these products are for sensitive skin or even the fainthearted because they do sting but the results are absolutely outstanding. The sad thing is they are only sold in the US (Ulta and their website) which is such a palaver but I still get them when family and friends are visiting the US. I was really int my Masks in 2016 and I tried quite a few masks which I enjoyed. I have featured them in various posts over the year and it was a struggle choosing my absolute faves. I still love my Ark Skincare Hydration Injection Masque which was featured in my 2015 Skincare Favourites. In 2016, the Una Brennan Salicylic Acid Anti Blemish Clay Mask//£9.99 and the Skinceuticals Phyto Corrective Masque*//£55 were my favourites. I always go back to my Una Brennan Mask when my skin is playing up and feeling congested. Whenever I use it, it just resets my skin and gets rid of any gunk that may be hiding. I am a huge fan and it is definitely one I will repurchase once I run out. The second mask is the Skinceuticals Phyto Corrective Mask which I discovered towards the last quarter of 2016. It is intensely hydrating and filled with anti-oxidants that get rid of any free radicals that cause skin problems. I have enjoyed it even more now that it's winter and my skin is on the dry end of things. I absolutely love it and I am so pleased I have it in my stash. I find that I reach for mists regardless of what the weather is doing although I do reach for them more during the warmer months. Last summer, I mainly reached for my La Roche Posay Thermal Spring Water*//£7.00. I had a full size can and a mini one which I popped into my hand bag. I don't know what it is about this Thermal Spring water but it really hydrates my skin and refreshes it instantly. Believe me, I have tried ordinary water in a spray bottle and the effects are not the same at all. I use it during winter when my skin is feeling dry from the central heating and it's been a skin saviour for me. 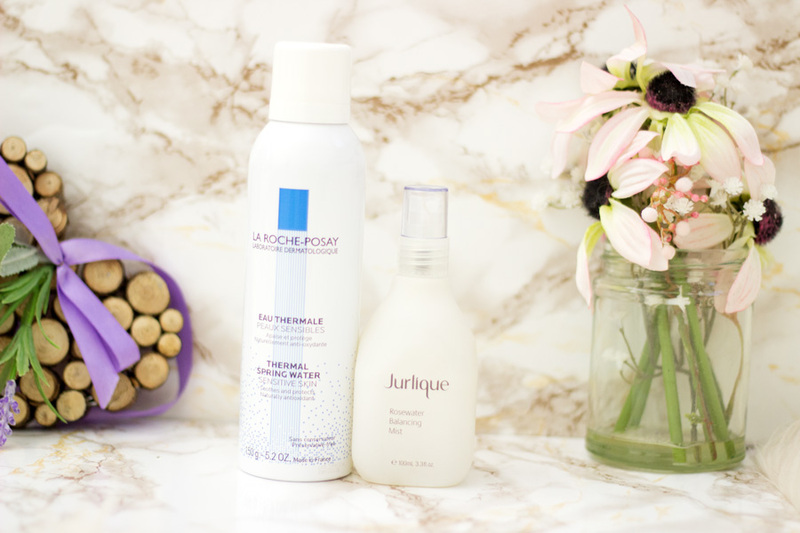 The second Mist which I enjoyed (and still enjoying) is the Jurlique Rosewater Balancing Mist*//£24 It hydrates, refreshes and re-balances my skin. I use this mist during the day (to set my makeup or even before my makeup if my skin is feeling dry) and at night especially on days when I have used AHAs or BHAs skincare products. In the past I avoided lip balms because many of the ones I tried felt so greasy and heavy on my lips. I know some are meant to be that way but when they sit on top of my lips forever, I feel the purpose is defeated. I want a lip balm that will exert its effect but sink in nicely into my lips. I was so glad when I discovered two lip balms that do exactly what I want and more. The first is a firm favourite and I believe it was featured in 2015- the By Terry Baume de Rose//£39. It's such a joy to use and it has never let me down. It's hydrating, moisturising and caters to my dry/chapped/cracked lips each time without fail. I love to wear it at night but I have used it many times during the day under my lipsticks and it's been bliss. It's quite expensive but the quality is outstanding and there's a decent amount to last a good while. The second was a new discovery towards the end of the year- Verso Lip Serum*//£45. I don't think I had ever tried a lip serum before I tried it so I didn't know what to expect. It has a lip balm texture but with a lighter texture. It sinks in quickly while fixing my lips and it has been one of my lip saviours this winter. I am so pleased I discovered it and I will be talking about it soon on the blog. The last category is my hand creams and I am such a huge fan of hand creams. I have them everywhere-on my desk, bathroom, handbag, in my pocket at work, etc. I just hate the feeling of dry hands and I am so happy to have all my hand creams come to my rescue. 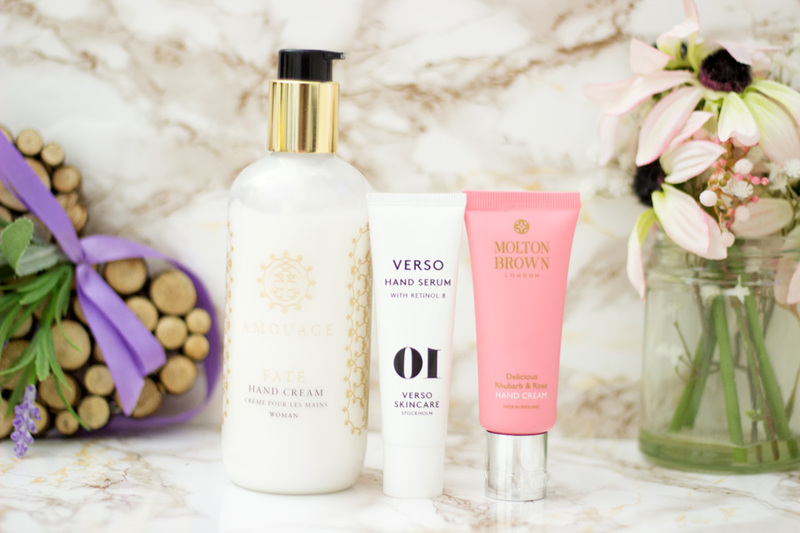 Three hand creams stood out for me in 2016 and they include- Molton Brown Delicious Rhubarb & Rose Hand Cream, Verso Hand Serum and Amouage Hand Cream. The common thing they do is properly moisturise and hydrate my hands. However, they all bring something extra special to the table. The Amouage Hand Cream*//£55 is my special hand cream and sometimes I use it on my body. It smells gorgeous and it keeps my hands moisturised and hydrated for a long time. I reach for it on days when I want a long lasting hand cream which smells luxurious. The Molton Brown Delicious Rhubarb & Rose Hand Cream*//£10 is my everyday hand cream and it comes with me almost everywhere. It stays in my handbag which means I reach for it more than the others. The final one is the Verso Hand Serum*//£55 which is very different to other hand creams I have tried. It contains Retinol 8 which helps with hyper pigmentation. A pair of scissors accidentally scratched three of my fingers as I was trying to open a parcel. My fingers are healed but there is some surface scarring which annoys me. 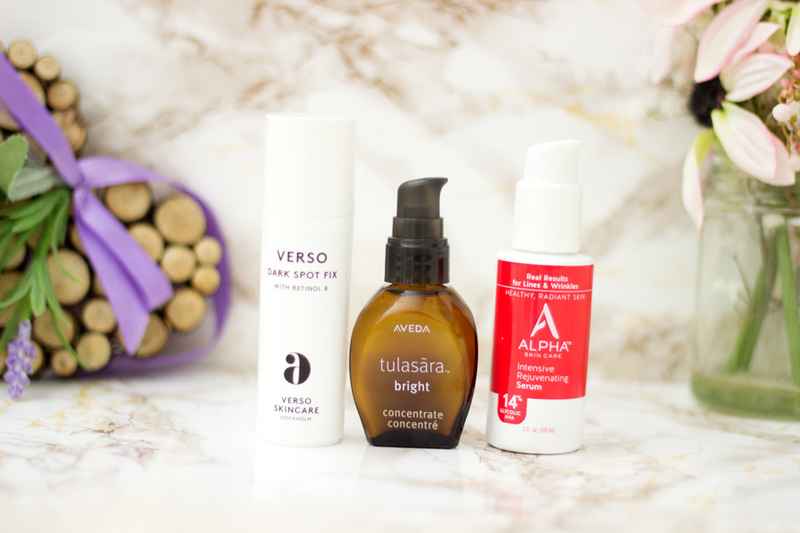 The Verso Hand Serum has been helping fade them away and that's why it is a pretty special Hand Cream to me.